Squid is one type of food for sea food. Squid are animals that live in shallow marine waters. Sea food of this type is commonly found in coastal areas such as southern Indonesia. Squid shaped like an arrow with tentacles as a means of motion. The squid does not have a spine so it is easily processed. Make calamari ring is very easy, so very easy to get herbs and other ingredients to make it. Flour to wrap calamari ring normally used to produce coarse bread flour with squid and crispy savory flavors. whereas it used to present a mixture of mayonnaise, ketchup, lemon juice and powdered sugar are stirred together to produce a delicious sauce. 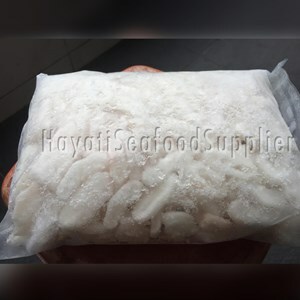 Frozen seafood cuisine this one you can make an alternative to creating an atmosphere different dinner in the dining room you and your family. From sekiab many foods that have the flavor steady is the calamari. 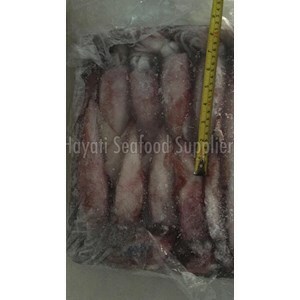 Menu-based squid included into the diet of frozen seafood. Menu seafood this one is fairly easy to find the basic ingredients and easy also in its processing. So it will not be difficult for you when searching for materials as well as food processing is underway. Soak with vinegar or lemon juice for a while. Squid meat is ready for use.